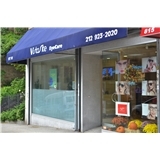 Vista Site EyeCare (New York) - Book Appointment Online! Dr. Dvoretsky is a great Dr., always offers helpful advice and insight. Short visit! Answered all my concerns and the staff were so helpful picking out my glasses.Highly satisfied especially for my first time getting glasses.